We have a lot of airline route news to catch up on following our August break, so we’ll start with domestic developments. Southwest’s spring schedule additions include several new routes out of San Jose and Sacramento; Alaska also starts new service at San Jose; United will join Alaska in flying out of a new Pacific Northwest airport, and adds a seasonal ski market from San Francisco; American will start new service from Denver, and will put a wide-body on a San Francisco transcon route; Delta’s Salt Lake City hub gets a new spoke, and Las Vegas gets more Hawaii flights; JetBlue grows at Atlanta and Boston; Spirit adds a Las Vegas transcon route; and Frontier expands at San Antonio. The battle for California is paying off for Golden State travelers with tons of new routes and low fares. Southwest Airlines last week unveiled plans for significant expansion in California next spring. On April 8, the airline will kick off new daily service from San Jose to Boise, St. Louis, Austin, Spokane and Houston Hobby, along with new daily flights from Sacramento to Austin and St. Louis. Southwest will follow that up on May 6 by launching new daily service to Orlando from both San Jose and Sacramento. Officials at SJC said Southwest will also expand existing routes there starting April 8, adding a second daily roundtrip to both Chicago Midway and Dallas Love Field, a fifth to Seattle, a sixth to Phoenix, and a fifth and sixth daily flight from SJC to Portland., along with new Sunday-only service to Albuquerque and New Orleans. In Florida, Southwest on April 8 will add three daily roundtrips between Ft. Lauderdale and Jacksonville and daily non-stops between Milwaukee and Houston Hobby. On March 8, Southwest is due to discontinue its non-stop flights between Dallas Love Field and Milwaukee, and between Philadelphia and West Palm Beach, and will seasonally suspend service between Oakland-Tucson, Washington Reagan National-Ft. Myers, and Minneapolis/St. Paul-Ft. Lauderdale. 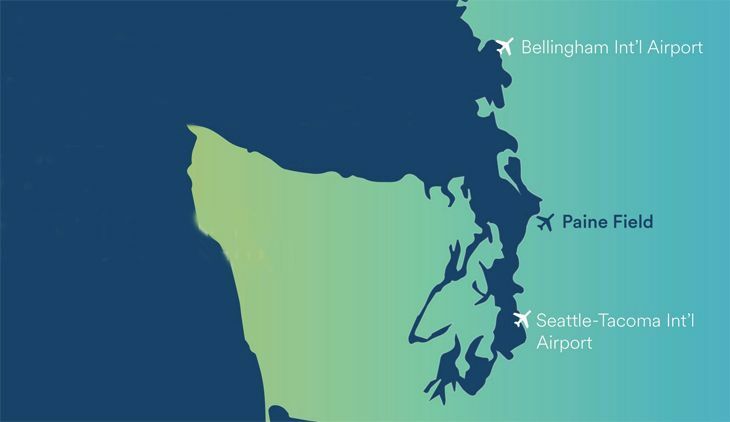 Travelers in San Francisco and Denver will get a new option for flights to the Seattle area next year with United’s announcement that it will add service from those cities to Paine Field, 23 miles north of Seattle. Starting in the fall of 2018, United said, it plans to start offering six flights a day from Paine to its SFO and DEN hubs. Last spring, Alaska Airlines announced plans to begin the first commercial airline service from Paine Field in the fall of next year, although it didn’t say which routes it would serve. In other route news, United will begin twice-weekly seasonal service on December 18 between San Francisco and Vail/Eagle, Colorado, with CRJ700s operated by SkyWest. Elsewhere, United/SkyWest on November 1 will begin service six days a week to Clarksburg, West Virginia, from both Chicago O’Hare and Washington Dulles with CRJ200s. 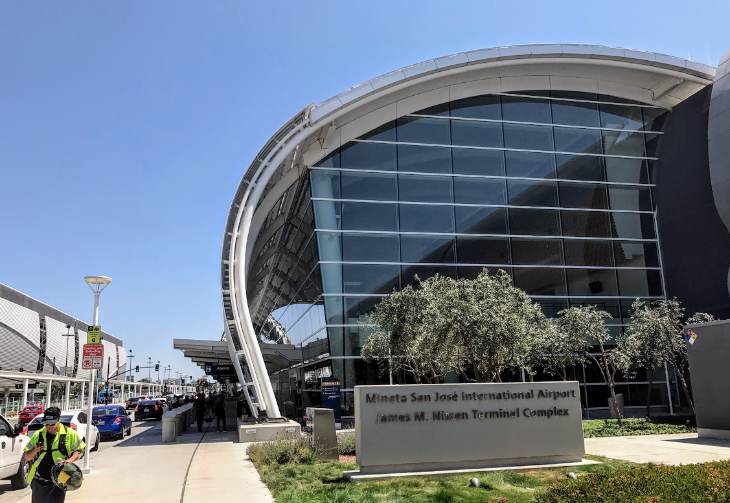 Speaking of Alaska Airlines, that carrier last week kicked off new routes at San Jose, adding daily flights to both Austin and Tucson, using the popular Embraer E175 regional jets. That gives Alaska 31 daily departures at SJC to 18 destinations. On October 5, American Airlines is planning to replace the A321 currently used on one of its daily Philadelphia-San Francisco flights (AA722/723) with a wide-body Airbus A330-200. The bigger plane is currently scheduled to keep flying the route through December 14. Next year, beginning June 7, American plans to operate a daily summer flight between Denver and New York JFK with a 737-800. In other news, The Dallas News reports that American will offer 2-4-2 premium economy seating on its Hawaii routes from Dallas/Ft. Worth, using retrofitted 777-200s. The roomier seats are available from DFW to Honolulu and Maui starting in December, and from DFW to Kona beginning next June. On December 21, Delta plans to begin new daily service between its Salt Lake City hub and Milwaukee, using an E175 operated by SkyWest. Delta is also extending its planned Las Vegas-Honolulu 757 service, which was originally scheduled for daily holiday flights from December 21 to January 14. Now they will continue as Saturday-only service from January 15, increasing to three flights a week February 16. JetBlue finally broke into the Atlanta market last March, when it started flying five times a day from ATL to its Boston focus city. And now JetBlue has plans to double its Atlanta presence by adding five more daily flights there. Effective March 8, 2018, JetBlue will start flying from Atlanta to New York JFK twice a day, to Ft. Lauderdale twice a day, and to Orlando once a day. 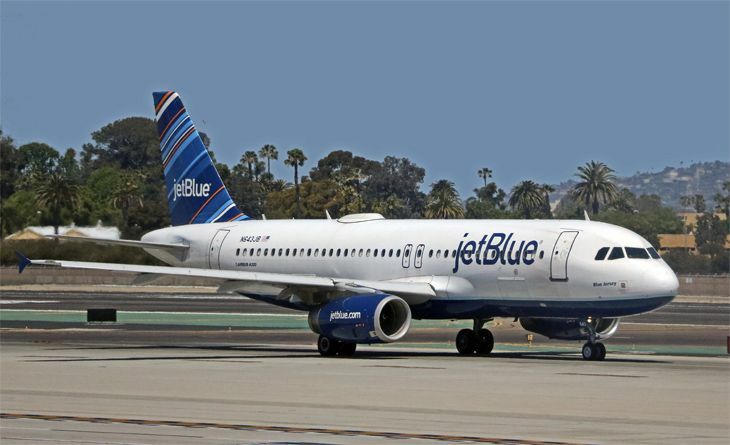 Elsewhere, JetBlue announced it will begin new service between Boston and Syracuse on January 4, offering one daily roundtrip with an Embraer 190. In the ultra-low-cost carrier arena, Spirit Airlines on November 9 will begin daily A320 service between Las Vegas and Newark. And Frontier Airlines will start operating four flights a week from San Antonio to Washington Dulles on October 6, followed by four a week between San Antonio and Ontario, California beginning October 13.